Hasselblad has formally announced details of the XCD 30mm F3.5 lens for its X1D 50c camera that company spokespeople mentioned at the launch of its 50MP medium format mirrorless system. The new lens, which has an angle of view that matches that of a 24mm wide-angle on a 35mm system camera, will have a minimum aperture of F32 and a closest focusing distance of 40cm from the sensor. It will be somewhat larger than the existing 45mm F3.5 and 90mm F3.2 lenses, with a maximum diameter of 83mm (against 77mm for the current models) and a filter thread of 77mm instead of 67mm. With this new lens the X1D medium format camera now has focal lengths the equivalent of 24mm, 35mm and 71mm. Hasselblad has also announced a special black version of the X1D camera to celebrate the 75th anniversary of the company’s camera production. 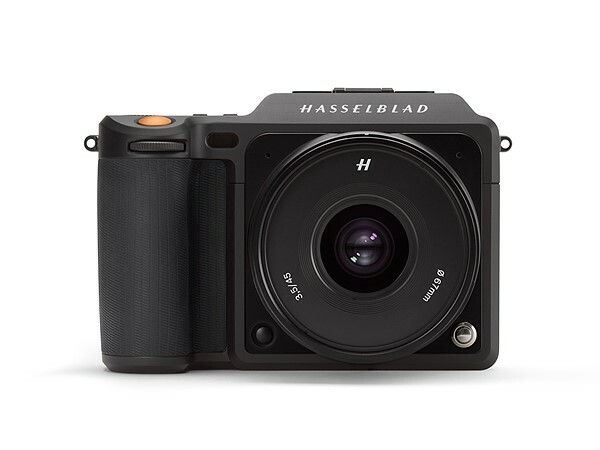 The body, called the Hasselblad X1D ‘4116’ Edition, comes with the existing 45mm F3.5 lens, a warranty extended by an extra year (three in total) and a leather hand strap all packed in a “unique ‘4116’ edition” box. The X1D kit is due to cost $12,995/€10,900/£8990 plus tax, while no price has been announced for the 30mm lens.